Fairytale Mosaics: Beauty and the Beast is an unforgettable puzzle adventure through fantasy worlds. The magic rose is losing its petals and only you can save the prince and his kingdom. This one is a true gift for puzzle lovers. 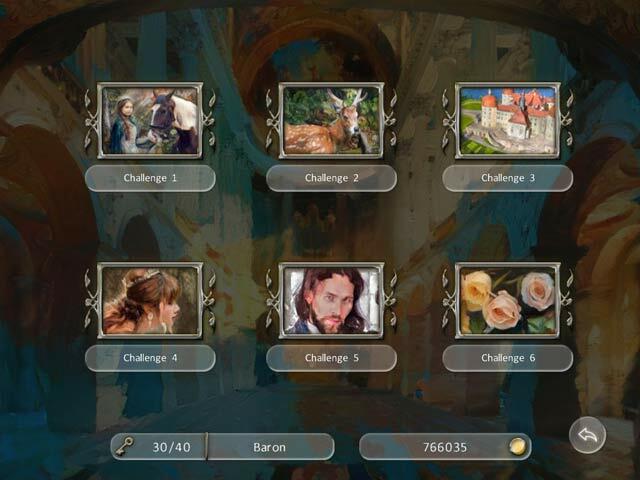 Featuring 120 unique brain teasers, take a trip through one of the most memorable fairytales of all time as you travel through 6 worlds to help the Beast turn back into the handsome Prince. The vivid atmosphere, colorful themes and meditative music makes this much more than your standard puzzle game! Fairytale Mosaics Beauty And The Beast is rated 3.4 out of 5 by 8. Rated 5 out of 5 by Diana_Mc from A "Mosaic" Jigsaw These puzzles are great for someone like me who is disabled and can't do traditional jigsaw puzzles because of my arm issues. It is confusing because of the 'other' mosaic puzzles but this one is a pretty jigsaw with pleasant music. You can play untimed and that's what I do. If it follows the norm, some of the puzzles will get much harder but you can use hints. 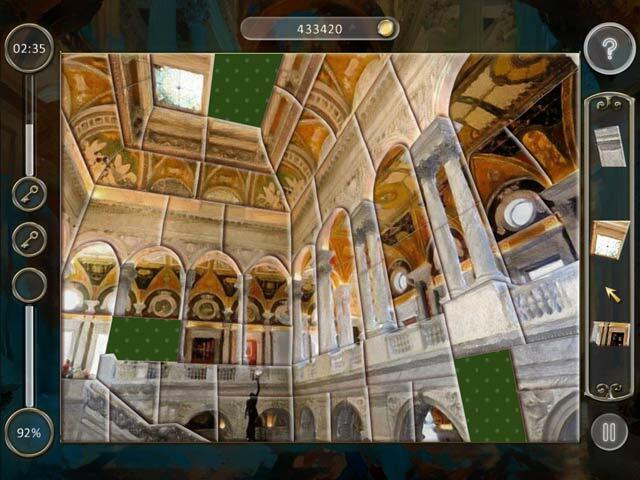 Rated 4 out of 5 by margot01 from Relaxing mosaic game This is a real mosaic game, like "Mosaic Game of Gods", though less beautiful. It is not a jigsaw puzzle although it is similar. I liked it and bought it, It is a nice game to relax with. Rated 4 out of 5 by chunkychow from Try if you enjoy mosaics Very pretty colors - easy game - would make great "deal of the day". No trouble moving and fitting pieces. A lot of the same but enjoyable. 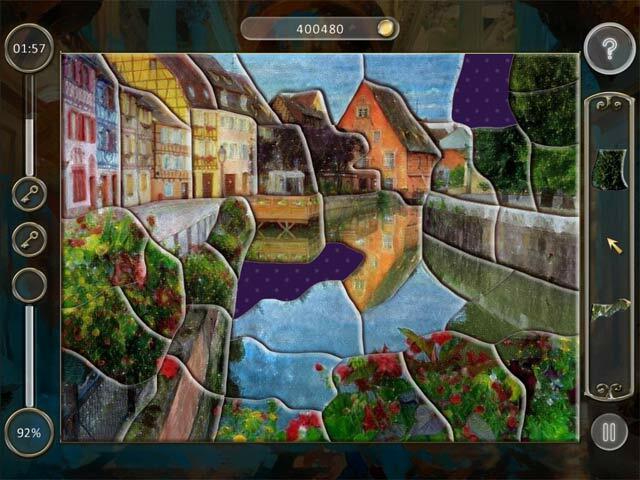 Rated 4 out of 5 by CyndiLouWho2 from Pleasant & relaxing jigsaw puzzle game First, this is a jigsaw puzzle game, not one of those numbered grid games. But I already knew that because I played this game last year on a different venue. Since I have played all of this developer's previous games, I'm a bit disappointed that not all the puzzles were of photographic quality. Solving hand-drawn images is a bit harder and not as pleasing to look at in my opinion. The last thing keeping it from a five star rating is that many of the finished pictures have nothing to do with Beauty and the Beast. And, that you are forced to work with the puzzle pieces they give you -- you cannot pick the ones you want or need. All in all, it's a great game to play while sipping your favorite beverage and just chilling out. Rated 2 out of 5 by Bumbles2 from A puzzle-type game that is very simple and easy to play !!! First of all this game just didn't turn my crank ! I found the pictures were very boring and lacked spice and lustre ! On the other side of the coin...my Grand-kids had a whale of a time with it. Surprisingly...they mastered just about all of them...and that was without my help...LOL I think this is one of those games that kids can get to know Big Fish a little bit better and what some of their games are like. Anyways...enough blathering from this side of the fence...its an ok game...try the demo...you might like it !!! Have fun everyone !!! Rated 2 out of 5 by dgeehring from Really more of a jigsaw puzzle I love the games that are commonly called mosaics, or nonograms, griddlers or crossfills. This is really very similar to a jigsaw except for the shapes of the puzzle pieces. You get 1 key each if you complete the puzzle, complete it with no mistakes, and complete it within the time given (pretty short - around 1 minute) which is where the only real challenge was. You need to collect a certain number of keys to move on to the next set of puzzles. If you are a big jigsaw fan you might like this. I didn't care for it though, although I do like jigsaws. You can also go untimed and automatically get that one key. The puzzles were all paintings and they were very fuzzy and not good quality. They were reminiscent of Monet works, but not as recognizable. 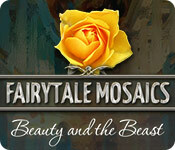 Fairytale Mosaics: Beauty and the Beast is an unforgettable puzzle adventure through fantasy worlds.